YESSSIRREEE! We made yet another shirt for our friends at Graniph! This one was one of those spontaneous designs. We basically made it from some elements extracted from a poster that we created for a Eurodance party a while back. The elements that we jacked looked beautiful stand-alone and also had that quirky word play angle to them that we love. 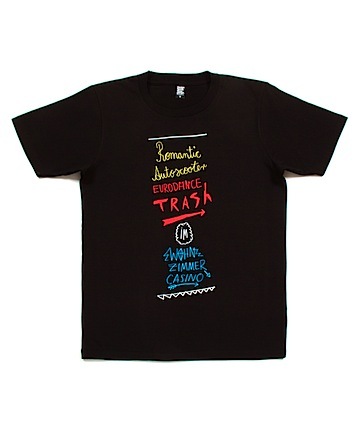 The final tshirt when translated from German verbatim: Romantic Bumper Car. How could you ever beat that image? !